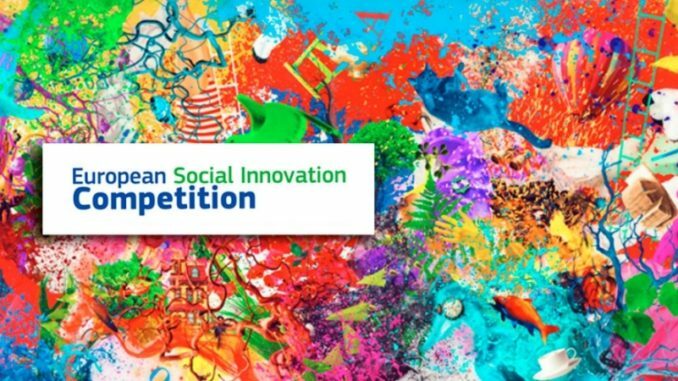 On 20th March, the 2018 edition of the European Social Innovation Competition was launched in Paris. The competition, run by the European Commission, aims to foster and showcase social innovations, ideas and projects across Europe. Under the heading RE:THINK LOCAL, this year's edition is looking for ideas to empower young people to seize and create economic opportunities in their local area by means of new technologies and new ways of working. The three winning projects will be awarded €50,000 each for ideas that use local characteristics to create opportunities for youth in a changing economy. "In recent years, the economy has been changing rapidly - there are many new ways to do business, use technology or work. In some regions and local communities, these changes have brought prosperity, in others people are struggling to adapt and those who can are moving to seek jobs elsewhere. To help create opportunities locally, the 2018 edition of the European Social Innovation Competition looks for new ideas to boost the chances for young people in their local communities. The three winning projects will be awarded €50,000 each to help them get their ideas off the ground and make a real difference," said Sławomir Tokarski, Director of Innovation and Advanced Manufacturing from the European Commission's Directorate-General for Internal Market, Industry, Entrepreneurship and SMEs. He also added that the best ideas might be scaled-up or replicated across Europe and was particularly happy to see the competition launched in Paris. This year's challenge is for ideas and projects that make use of technologies or approaches to work that revitalise regions or local communities that risk losing their young people and their talents due to lack of economic opportunities. The competition calls on social innovators, entrepreneurs, students, designers, tech enthusiasts, educators, doers and makers, movers and shakers - people who have a great idea and want to turn it into an initiative that's beneficial for their community and can be applied in other locations, too. Individuals, groups and organisations from the European Union and Horizon 2020 associated countries.